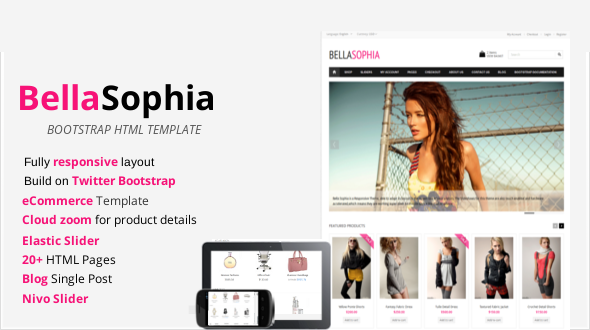 Bella Sophia is Fully Responsive eCommerce HTML Template based on Twitter Bootstrap. Nivo Slider: The world’s most popular jQuery image slider. All images used in the demo are not included in download package.